Critical shortage of Insurance Adjusters and Claim Examiners in Canada! The prospects for this profession are excellent in Canada. Life is unpredictable; increasing numbers want better security options in the form of insurance policies. Internet is greatly used for acquiring business; we need better internet security to tackle identity thefts. Insurance products are utilized at every walk of life. Those who are experts in computerized accounting and insurance processing systems can join this profession for a rewarding career graph. British Columbia: The job prospects in this province are simply tremendous. Around 75% of the workforce is concentrated in the Lower Mainland Southwest area. Saskatchewan: There has been a growing demand for insurance services and policies. Employment prospects are good for Insurance Adjusters and Claim Examiners in this region. Manitoba: The province offers great job prospects, particularly the Winnipeg area, for finance and insurance companies and public administration companies. Ontario: Ontario offers some excellent job opportunities for your profession. The region of Toronto is the hub for these jobs. There has been a marked increase for better property and insurance policies. Why should I immigrate to Canada? Canada presently is facing a shortage of Insurance Adjusters and Claim Examiners. The profession seeks fresh immigrants to fill up the available positions. Insurance professionals are placed in the priority list. You will be given an upper hand during your visa processing. To successfully immigrate to Canada you need to possess some basic qualifications i.e. you need to be a graduate in Insurance, Accounting or Business Administration or any other related services. Note: Since this a non-regulated occupation in Canada your credentials have to be recognized by a relevant agency. Compensation one of the best! The province of British Columbia offers an hourly payment as high as CDN$42. Saskatchewan offers compensation of up to CDN$34 an hour. Manitoba gives an hourly figure of CDN$34. The compensation is high for this profession in Canada as a whole. So what are you waiting for? 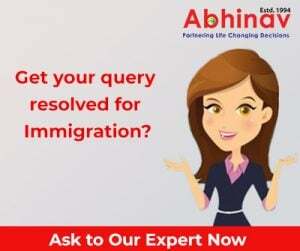 Fill up our free online assessment and know your chances of immigrating to one of the best destinations of the world. Join Abhinav today!!! Nationwide shortage of Licensed Practical Nurses in Canada! Immigration Reform, an Agenda in Virginia General Assembly! well …. as a professional you get less friction in Canada… working environment is much more different from here. nearly 20 yrs of exp in life insurance claim settlements. I am working as Independent claim adjuster in India, Can i immigrate to canada on PR basis with my family,Please guide me . I am B.Com. Graduate in 1997. I am working in Govt. Sector from 2010 & I have LIC agency last 2 years. So can i immigrate to canada on PR basis with my family.